Search engine optimization (SEO) is the most important long-term investment for any business website. SEO is the most cost-effective way to drive visitors to your website by building up your website's organic search engine ranking. 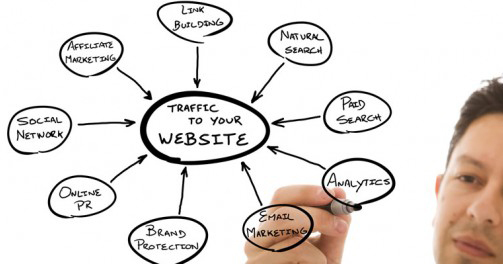 Its strategies and analytics improve the volume and quality of traffic to your website. Building a website without SEO is a like designing an automobile with no engine. It's not going anywhere soon. You can have the greatest website in the world, but if no one knows about it, what good is it? Our proprietary SEO strategies combined with advanced SEO analytics and reporting software ensures we can provide high-quality, enterprise level SEO services for small to medium sized businesses. We get great results by extending your business reach deep into the digital world of Internet commerce! For your business, that shift means exponentially more on-line exposure. For more information on how we can help you maximize your exposure online through SEO tools, please contact us today.